According to the World Health Organization, more than half the world’s population uses dung, crop matter, and coal to cook and heat inside their homes. Full disclosure: I’ve lived in a dung-powered home. From 2004 to 2006, I was a Peace Corps volunteer in the Kyrgyz Republic. The family with whom I lived was poor even by Kyrgyz standards, and sheep poop was a primary fuel. The furnace ventilation system was inefficient, to say the least, and smoke would get everywhere. Such smoke kills 1.6 million people every year. Every 20 seconds, another poor person dies of indoor air pollution. Thankfully, there’s a solution to this killer problem: coal fired power plants. By building a centralized coal power plant, it is possible to take energy production out of the home, and thereby save lives. Allow me to repeat: Coal power saves lives in the developing world. Of course, there are many other benefits to affordable and reliable energy; foremost among them is economic growth. 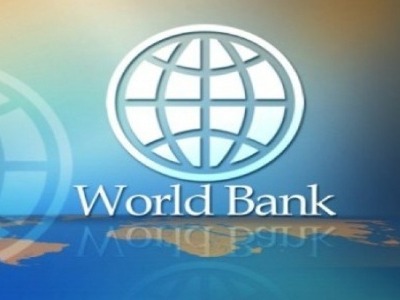 The World Bank was established in 1945 to fight poverty. Accordingly, the institution long has financed new coal fired power plants in developing countries, for the life-saving and prosperity-creating reasons I cite above. Unfortunately for the world’s poor, that’s about to change. ClimateWire (subscription required) reported today on a draft World Bank energy strategy that commits the bank to stop lending money for new coal projects in more than 80 developing countries. The World Bank is poised to adopt this anti-coal, anti-human strategy as a sop to “green” special interests, for which the supposed dangers of global warming, decades into the future, are direr than the clear and present danger of indoor air pollution, which kills millions today. Such are the warped priorities of modern environmentalists. Previous post: Algae Biofuel — No Longer the Next Big Thing? Next post: How Many Agencies Does It Take to Regulate Fuel Economy?